We train qualified mental health professionals in Cognitive Analytic Therapy to the accredited standard for CAT Practitioners. We also train a wider range of people in Cognitive Analytic Therapy skills and their applications. We provide organisational development consultancy using CAT concepts. We offer Continuing Professional Development to CAT Practitioners, Psychotherapists and other psychological therapy professionals through short courses and workshops. We promote the development of, and research into, the continuing integration of psychological therapies through Cognitive Analytic Therapy theories and methods. We provide CAT psychotherapy services to the general public and to CAT trainees. 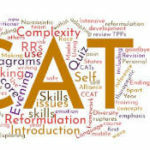 We provide personal reformulation services to clinical psychology trainees, ACAT skills and foundation course trainees and others requesting these services. We foster professional and public engagement, leading to creative collaboration and networking among CAT practitioners and others interested in CAT, and wider public awareness of CAT, through a range of engagement strategies including open meetings, website pages and social media, partnerships and collaboration with other organisations and service users. We are committed to protecting and respecting your privacy. We hold your personal data securely. People who work with us to provide our services share these values and are individually responsible for complying with data protection legislation. We do not share your personal data with external organisations. This notice provides an overview of how we comply with data protection legislation and the basis on which any personal data we collect from you, or that you provide to us, will be processed. register for a course, a conference or a training event. to keep you informed about Catalyse activities and developments, for example by sending you our Newsletter. Payment data that allows us to create our financial records. Associates’ personal details are held for the purpose of internal communication and financial transactions. Associates have control of what personal information they wish to be displayed on our websites. A record of work each Associate undertakes is kept. Each Associate providing services for Catalyse undertakes to maintain high standards of data security and privacy for Catalyse clients. People who contribute include CAT practitioners who provide teaching, continuing professional development events, marking, moderation, trainee advice and training therapy. Their personal information is stored for the purpose of organising these services and for financial transactions. This includes those in CAT practitioner training, CAT skills training and CPD events. Their personal information is kept for the purpose of providing these services. This may include attendance records and where applicable, details of course assignments and marks. On completion of training, these records are kept for five years. Contact details continue to be held for the purpose of keeping trainees informed about Catalyse activities and other training opportunities. Names of PR recipients are stored for the purpose of administering the contracts between Catalyse and those commissioning PR services. Other details are not held, and no sensitive information is held by Catalyse. Such information is confidentially held by individual Associates providing personal reformulations. Website users may provide us with personal information relating to any of the above services, or just to express interest in our organisation. With consent we may use this information for the purpose of internal record keeping, improving our products and services, occasional emails about new events, courses, networks, other products or other information which we think you may find interesting, using the email address which you have provided. From time to time, we may also use your information to contact you for market research purposes. 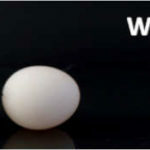 We may use the information to customise the website according to your interests. Click here for additional website and cookie information. We do not keep information about you any longer than is necessary. The length of time we keep your data may be determined by statutory or regulatory requirements. We delete or destroy all personal data when it is no longer required. You have the right to see what personal data we hold about you. You also have the right to know where we got the data from, how and why we are processing your data, who it has been shared with, and how long we intend to keep it for. You have the right to ask us to investigate, and correct where appropriate, any personal data we hold about you that you believe is wrong. You have the right to ask us to erase personal data that we hold about you where we no longer have a lawful purpose to process the data, or where the data is being processed based on your consent which has now been withdrawn. This right may be restricted by our need to comply with laws, regulations or other legitimate reasons that require us to retain data. However, we will tell you if this is the case. Where you have objected to how we use your personal data, and this is being investigated. We do not use automated processing or profiling and your data are never subject to these methods. If you would like any further information, or you would like to exercise any of your data protection rights, please get in touch.